According to the canonical texts, the Brahmin must perform vaisvadeva everyday in front of his house-the offering of bali to the Pancama is a part of this rite. The goal of Vedic works is the happiness of all mankind, indeed the happiness of all the worlds ("Lokah samastah sukino bhavanthu"). The sound of the Vedas creates universal well-being, so too Vedic sacrifices. As a ruler, the Ksatriya wages wars and does policing work for the security of all citizens. The Vaisya too serves society - to think that he takes home all the profit he makes is unfair. The lord speaks of the dharma of Vaisyas in the Gita. "Krsi-gauraksya-vanijyam Vaisya-karma svabhavajam." The third varna has three duties- raising the corps, cow protection and trading - and it carries them out for the welfare of all people. The Vaisya ploughs the field and grows crops for the benefit of the entire community. Similarly, the milk yielded by his cow is meant for general consumption and for sacrifices. A Vaisya must also take care to see that the calves have their feed of milk. As a trader he procures commodities from other places to be sold locally. However rich a man may be, he cannot sustain himself with money alone. He has to depend on traders for essential goods. 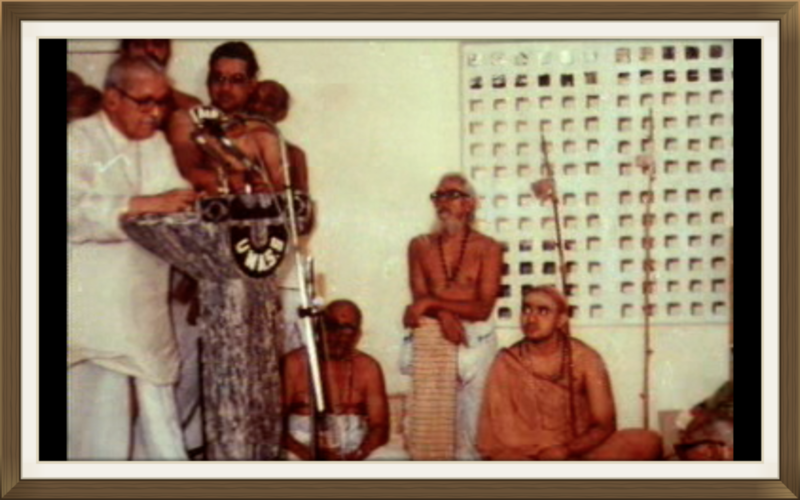 Trading is the dharma of Vaisyas and it is an offence on their part not to practise it. Similarly, Brahmins would be committing a sin if they gave up Vedic rituals and earned money by doing other types of work. It is wrong to think that the trader carries on his trade for his good alone. Just imagine what would happen if there were a hartal and all shops were closed for a week. Surely people would suffer when essential goods are not readily available. Vaisyas must conduct their business in the belief that their vocation is one that is ordained by the Lord and that is for the good for the entire community.